Coming out of Sandusky from the Jackson Street pier, is the Good Time I. The boat is all steel, 117 feet long capable of carrying up to 355 passengers. 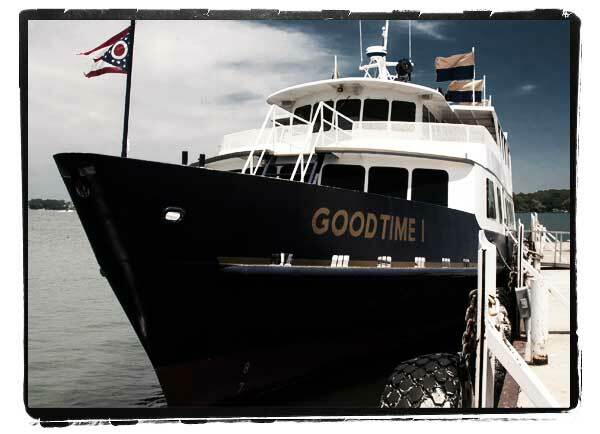 Originally built as a fishing boat where it saw service in the Atlantic Ocean and Gulf of Mexico, the Good Time I now makes the rounds in Lake Erie. A variety of tours are available depending on what you're looking for. One particular tour is the all-day, daylight island hopping trip that goes from Sandusky to Kelley's Island with a short layover long enough to sample the local shops but not do much exploring of anything beyond the island unless you rent a cart to go out and see the Glacial Groves. 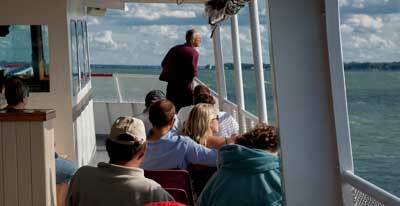 From Kelleys the cruise sails over to South Bass Island and a much longer layover at Put-in-Bay. 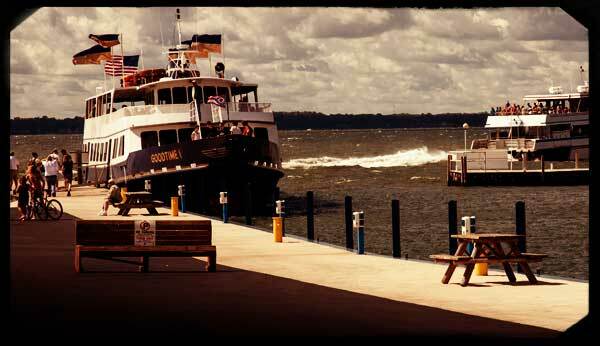 Here passengers can spend a much longer time getting to know the party capital of Lake Erie. Besides the daily island hopping day trips, the cruise line also offers several Night Party cruises. These are for adults only and usually are sold out in advance of the sail date. On Tuesday nights, a special 2-hour sunset cruise of Sandusky Bay and the Lake. Refreshments of various kinds are available on board, but it is on a cash-only basis.